The truth can be elastic as it sometimes depends upon the perspective and knowledge of the person making the claim, however, Mr A S Dulat, formerly the head of India’s intelligence agency (Research & Analysis Wing) can perhaps claim to know the truth more than most of us. 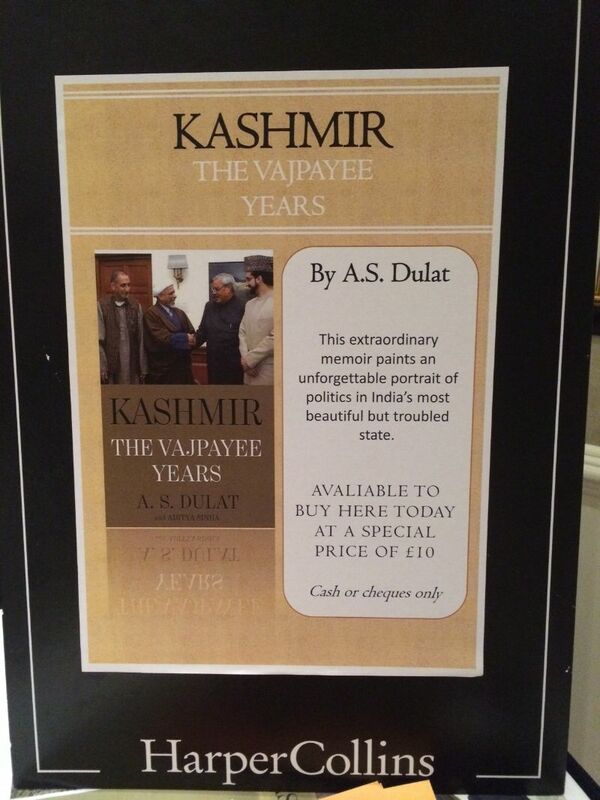 Kashmir: The Vajpayee Years by A S Dulat was launched in London last week at a lovely event at the Taj St James’ Court with guest of honour, Dr Farooq Abdullah (former Chief Minister of Kashmir, the Indian side). It was a packed event with people standing at the back of the room. 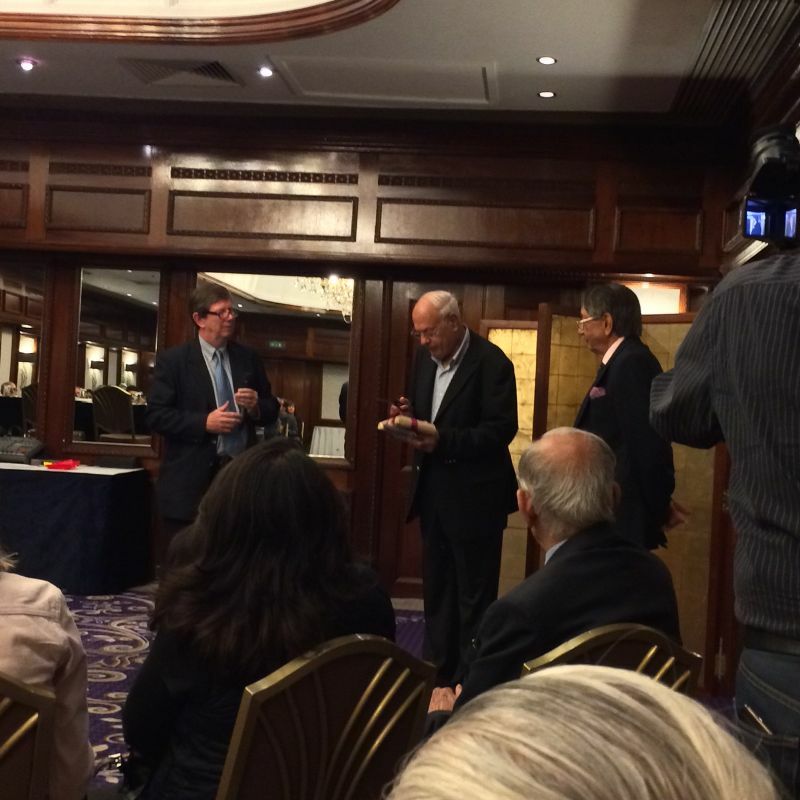 I had encouraged Mr Dulat to launch his book in London and as adorably humble as ever, he said ‘who would want to come to that?’ Loads of people was my reply! A couple of months later and there we were celebrating. Kashmir is a well known and forever difficult subject for Indians and Pakistanis and often the Kashmiris themselves get little coverage. 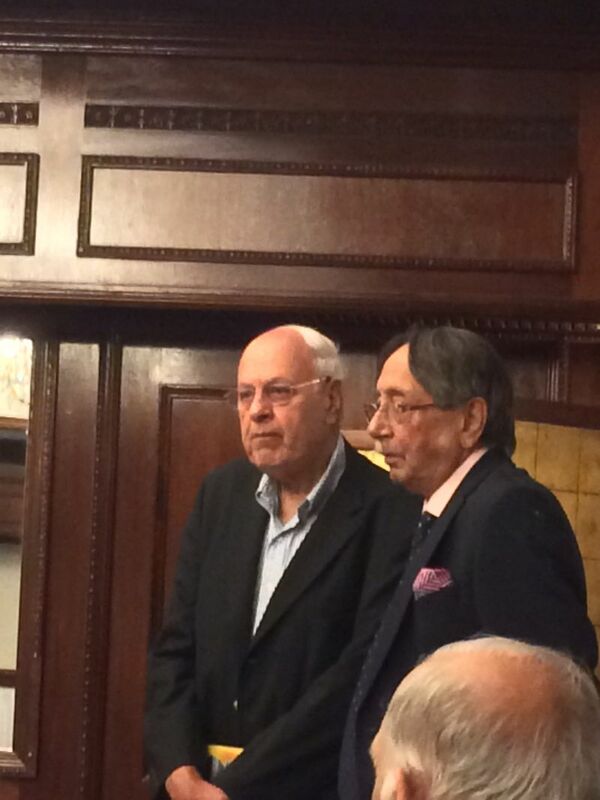 Dr Farooq Abdullah plays a central role in the book and his family has been a part of Kashmir’s story since partition. Dr Abdullah’s father was also Chief Minister before him and Dr Abdullah’s son was Chief Minister as recently as the previous election. South Asia loves dynastic politics! Mr Dulat and Dr Abdullah recounted watershed moments in India’s history of negotiating with terrorists and the lessons learnt and former president, Atal Bihari Vajpayee’s desire to deal with the Kashmir issue. At the event Dr Abdullah spoke of how an independent Kashmir was near impossible given its land-locked position and low income level. I’m Pakistani origin and I’ve grown up in a political (with a small P) household where aggrievances about the unfinished business of Kashmir and none in my family even hail from Kashmir. Kashmiri friends speak of Britain’s last meddling legacy in the region and there isn’t a Kashmiri who doesn’t have a passionate opinion on the subject. However, as Mr Dulat observed, what the Kashmiri says depends on who is listening! I sometimes wonder if some Kashmiris and Scots have similarities in that they love to hate India/England. Of course Scotland and England’s union is no longer violent, hundreds of years have passed after a turbulent history, perhaps Kashmir and the rest of India can learn to live with one another in a few more generations. Or, perhaps peace itself would bring prosperity to Kashmir and it can set itself up like Switzerland: neutral between the three nuclear powers that border it. Listen to me, as if I can help the situation in one blog post! Mr Dulat’s book reads like a political thriller only more fascinating as it is real history and no one in India is regarded as much of an expert on Kashmir as him.